The Marvel Cinematic Universe is a wondrous achievement in film, the likes of which previously were only the stuff of a comic book lover’s dreams. Even with this incredible accomplishment in story telling, something was missing – an integral piece of the Marvel Universe that was long overdue for a reunion. Spider-Man: Homecoming marks the full debut of ol’ webhead in the MCU and it’s a joy to watch, while proving once again that nobody does Marvel better than Marvel Studios. After having two separate actors anchor two separate Spider-Man franchises, how do you reintroduce the character to audiences that are beginning to show superhero fatigue? You go back to the character’s roots: Tom Holland reprises his Captain America: Civil War role as Peter Parker with a perfect mix of charm, humor and naiveté that hearkens back to the classic Spider-Man comic books. One of the most impressive elements of Spider-Man: Homecoming is how it feels faithful and at the same time like something fans haven’t seen before in any medium. The film folds perfectly into the MCU and does a phenomenal job taking advantage of all the world-building that has been done in those films. From the origin of Michael Keaton’s Adrian Toomes aka The Vulture to the set-piece used for the climactic battle, it feels like Spider-Man has been part of this continuity for longer than one and a half films. Speaking of Keaton, he’s given much more material to work in the movie than the trailers suggest and he makes for a memorable and relatable villain – something that has caused previous Spidey franchises some trouble. Additionally, in a move that might have Miles Morales comic book fans scratching their heads, the film turns classic character Ned Leeds into Peter Parker’s high school best friend and confidant – an almost carbon copy of the beloved sidekick Ganke from the Miles Morales starring run of Ultimate Spider-Man, but actor Jacob Batalon is so great in the role it’s hard to find any fault in the decision. 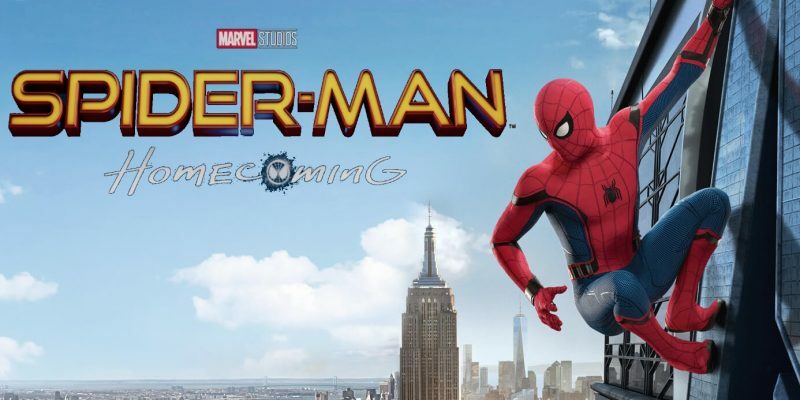 Thanks to Cop Car director Jon Watts, Spider-Man: Homecoming also has a unique and different vibe from the somewhat standard formula that the MCU does so well but has almost been using on auto-pilot. There are loads of really great humor, an almost Breakfast Club style to the high school scenes, and lowered stakes that don’t feel any less important because the entire world isn’t in danger. The film truly makes you care about Peter Parker and his smaller Spidey-verse corner of the MCU and all the inhabitants within. But circling back to what really makes everything truly work is Tom Holland as Spider-Man – he has earned the role and it should be his until he decides to hang up the tights. Robert Downey Jr.’s return as Tony Stark has a huge part to play in creating this new dynamic we’ve never seen from Spider-Man on film before and the character is used beautifully. Holland plays off Downey effortlessly and every time Stark shows up, it has meaning and ends up as a riveting or thoroughly hilarious scene – a few times both. There’s so little in the film to nitpick that I found myself pleasantly surprised that despite my great love of Wonder Woman and the attention it’s getting, there is yet another great comic book film to celebrate already. Spider-Man: Homecoming is pure superhero popcorn film-making at its finest and manages to carve out yet another distinct corner of the MCU to play around in, similar to how Guardians of the Galaxy broke the mold.